Darcy Rose, a current UC student, and a member of the Canterbury Wildcats women’s basketball team, is a sports star to watch out for. Rose, who was born in Colorado, has spent the past eight months completing her PhD in linguistics at Canterbury. The coach of the Canterbury Wildcats, Phil Burns, describes Rose as a role model for other inspiring athletes. Do you know a UC student who excels in sport? We’d love to hear more about their success so please email: communications@canterbury.ac.nz. This could be you! 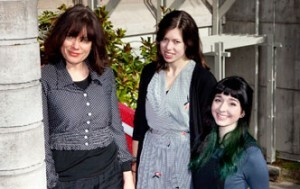 See more about scholarships offered through UC. 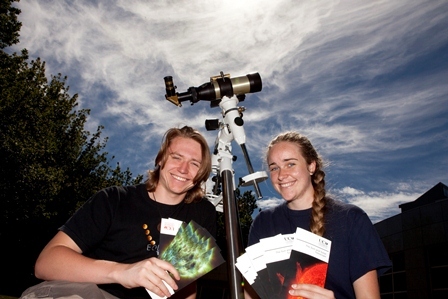 Two amazing UC students Ryan Ridden-Harper and Toby Hendy played a significant role in the development of the Christchurch Urban Astronomers Society. The society allows them to expand their interest of astronomy and share their passion with others from the Canterbury region. Both students study physics and mathematics at UC. Ryan and Toby had their story published on UC’s news site and in Chronicle. UC students Ryan Ridden-Harper and Toby Hendy (right) with sunscope. Contact communications@canterbury.ac.nz if you have a story to tell.